O’Hara Bros. Surfacing Ltd is a privately owned company established in 1975. We provide specialist highway maintenance solutions to Local Authorities, the Construction industry and the private sector. 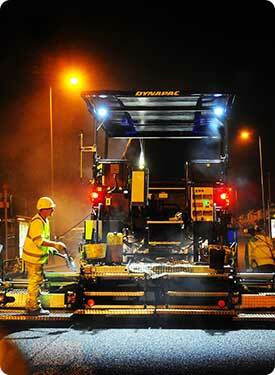 The core of our business is term maintenance resurfacing, paving and civil engineering works. An important factor in our success is that we own and operate our own planing, milling and asphalt paving machines and plant using directly employed, highly experienced staff. We undertake all types of work for Local Authorities, Highways agencies, other surfacing companies, construction companies and developers carrying out surfacing of new roads, patching, foot path reconstructions and all other associated civil engineering works. We can therefore offer our clients the full in-house resurfacing solution operating throughout London and the South East.